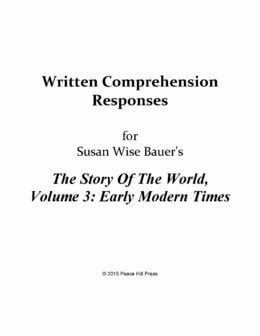 This typed version of the oral questions found in the Activity Book provide review for each chapter of The Story of the World Vol. 3: Early Modern Times, Text. Each question includes plenty of lined space underneath for your student’s written response. We typed ’em up so you don’t have to. All answers are provided in the Activity Book. Giving your student the opportunity to provide written responses to the review questions will help older students (especially those in the logic stage or the upper years of the grammar stage) to remember the concepts, events, people, and places of the early modern times. IMPORTANT NOTE: We provide answers to all questions in The Story of the World Vol. 3: Early Modern Times, Activity Book. This downloadable PDF does NOT include the answers to the review questions. This product is only available as a downloadable PDF, printable at home. 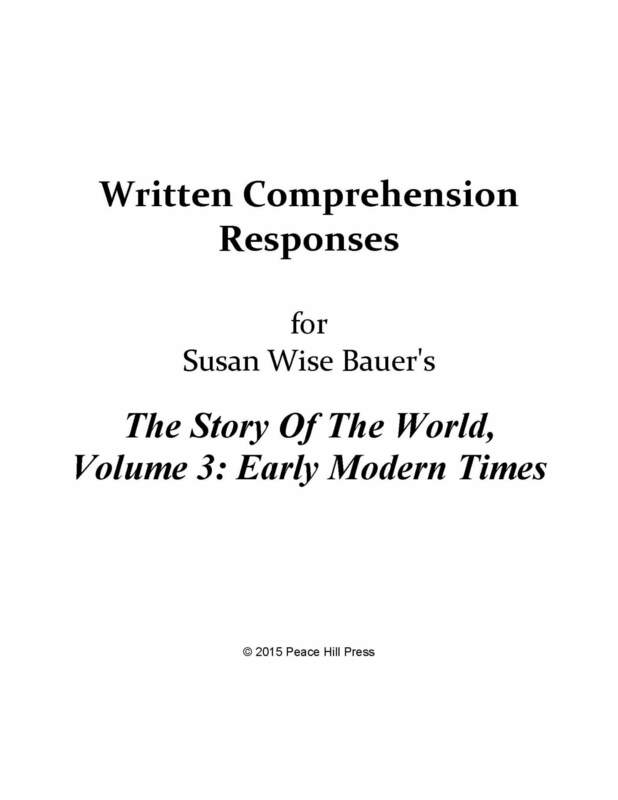 SAVE $6 when you buy the Written Comprehension Responses for all four volumes in one bundle! Your purchase of this PDF is for your own personal use. You may make copies for your own family, but you may not copy it either for resale or to give away to others. Making copies, either for resale or to give away, is a violation of United States law. According to the United States Copyright Office, “Copyright infringement occurs when a copyrighted work is reproduced, distributed, performed, publicly displayed, or made into a derivative work without the permission of the copyright owner.” For further information, see http://www.copyright.gov/help/faq/faq-definitions.html. Schools may purchase a license to reprint this product for their students. Contact us at 1.877.322.3445 to acquire this license. Does this product also include the map work sections typed out for students to do independently? No, it does not include those sections. I would like to put in a suggestion that the pdf with the comprehension questions be included in future editions. As it stands i will still have to copy each individual map work section for my daughter to do on her own. It makes sense to include this student activity. I will still be buying the activity book for the resources and projects but this would be an awesome product if the map work sections were included. Thank you for this suggestion! We will take a look at this possibility.